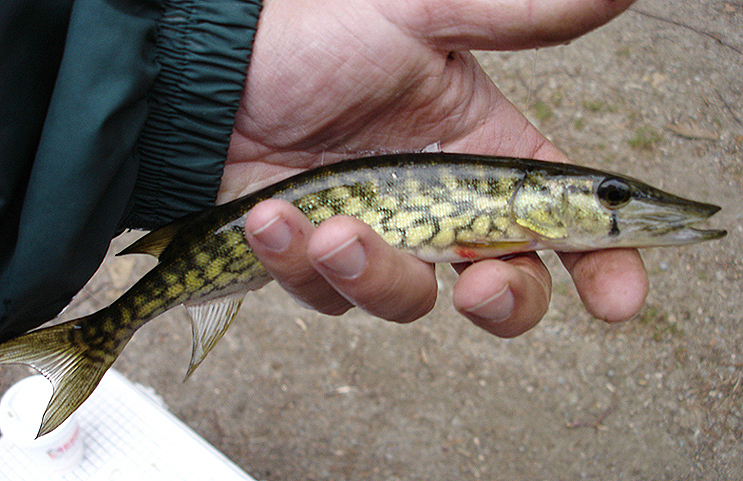 One of our few actual native fish. 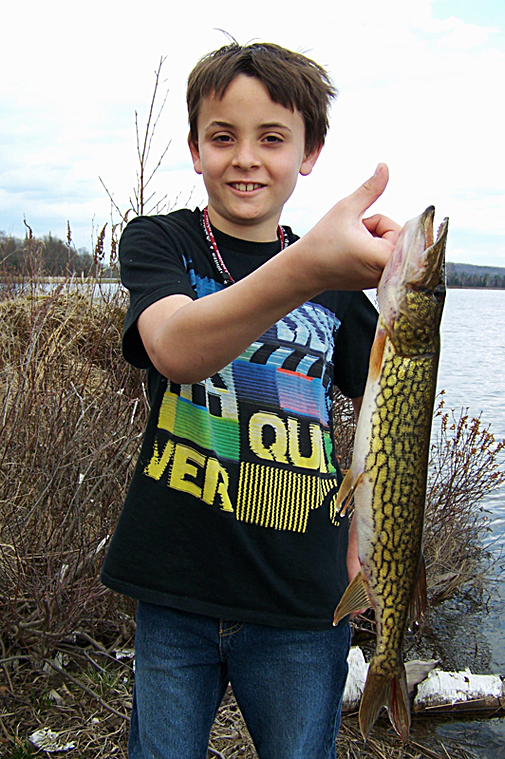 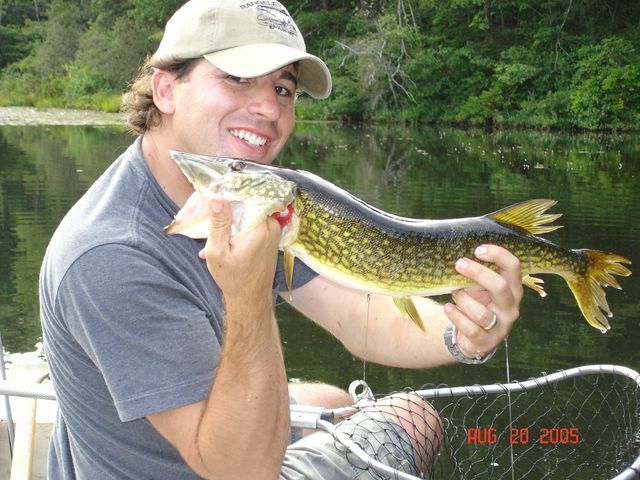 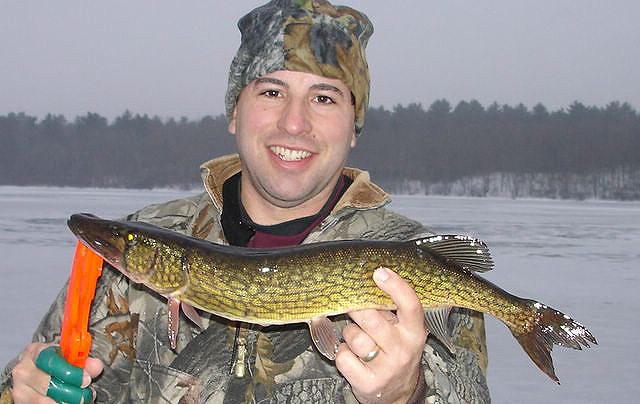 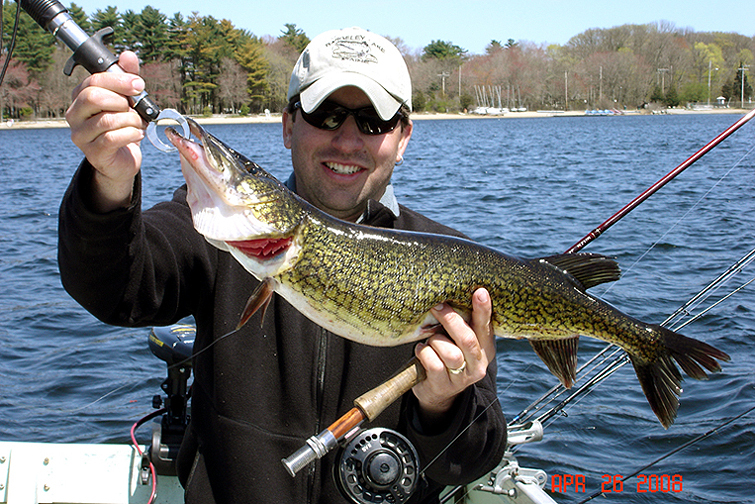 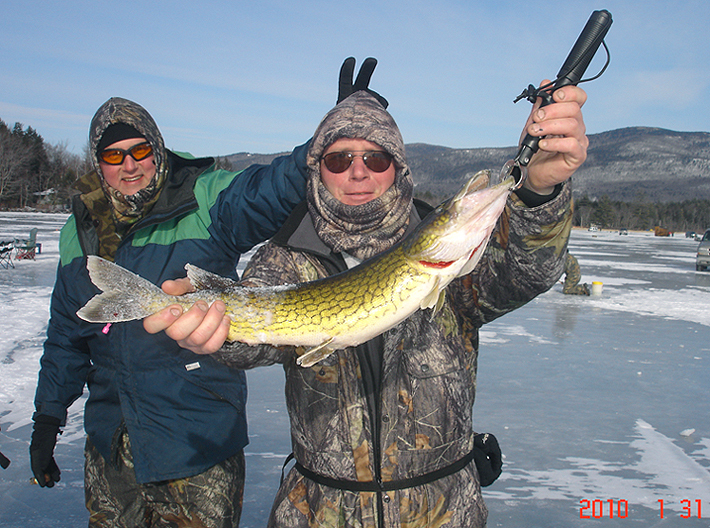 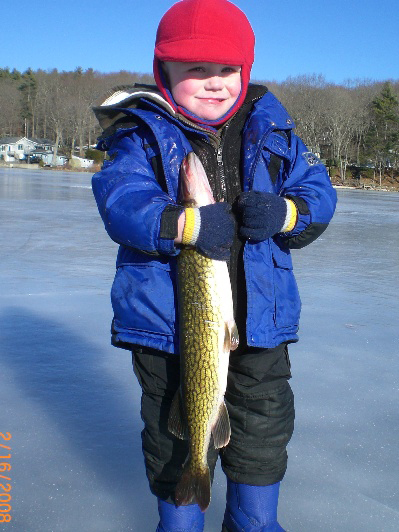 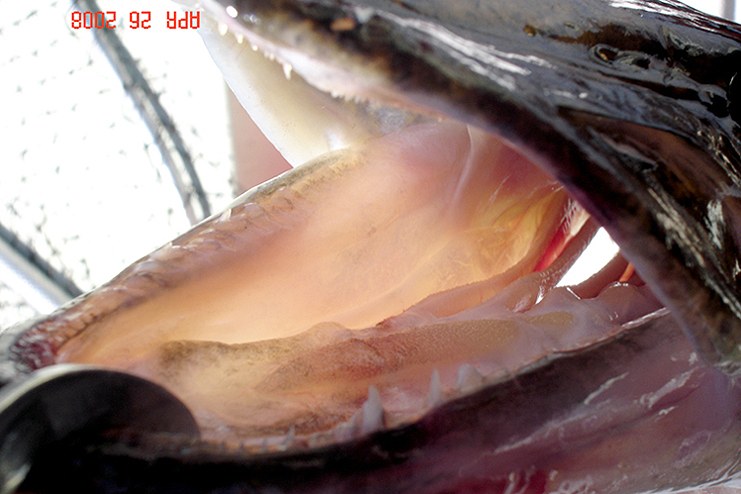 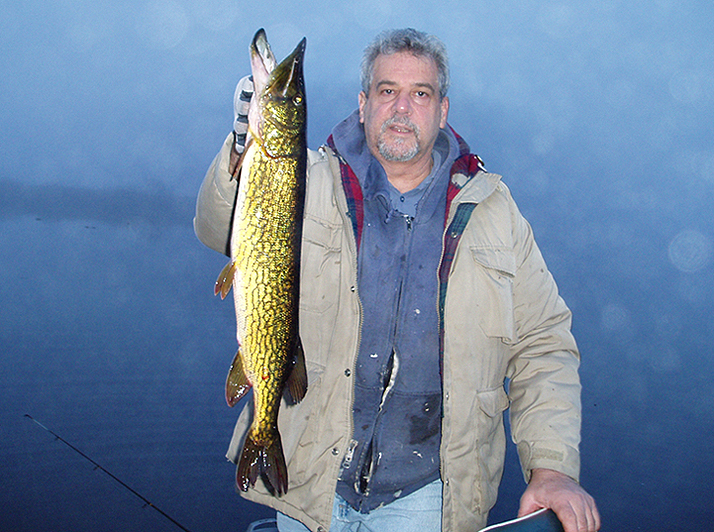 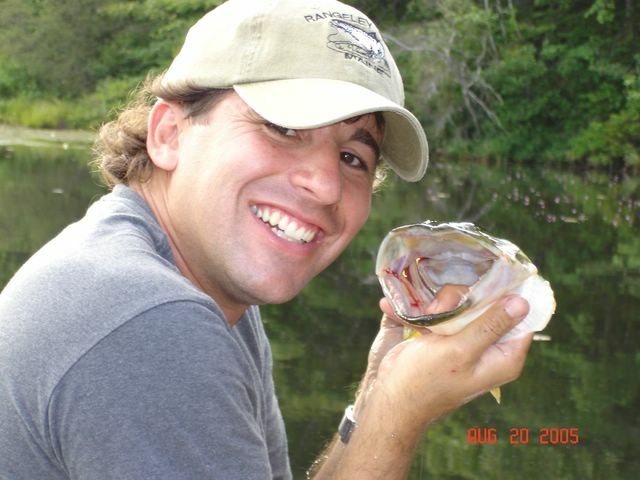 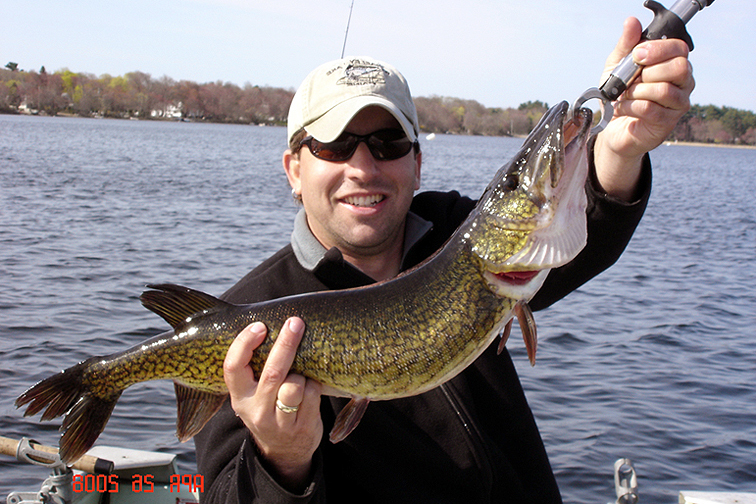 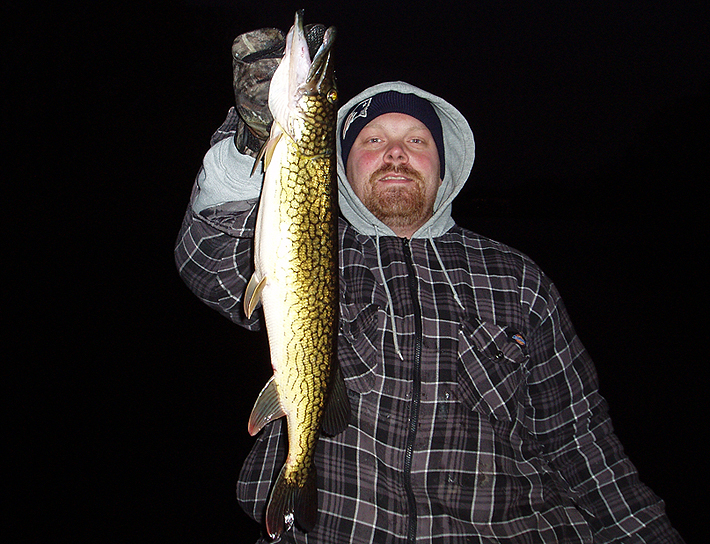 For the story on the fish above, check out the Fishing report page. 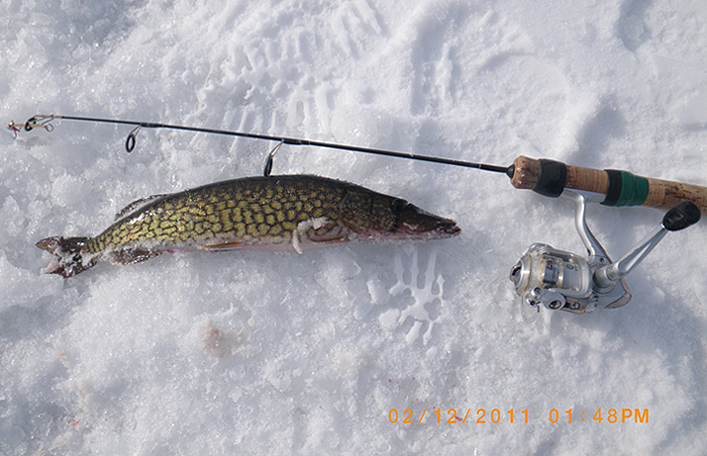 Before I caught the one pictured above. 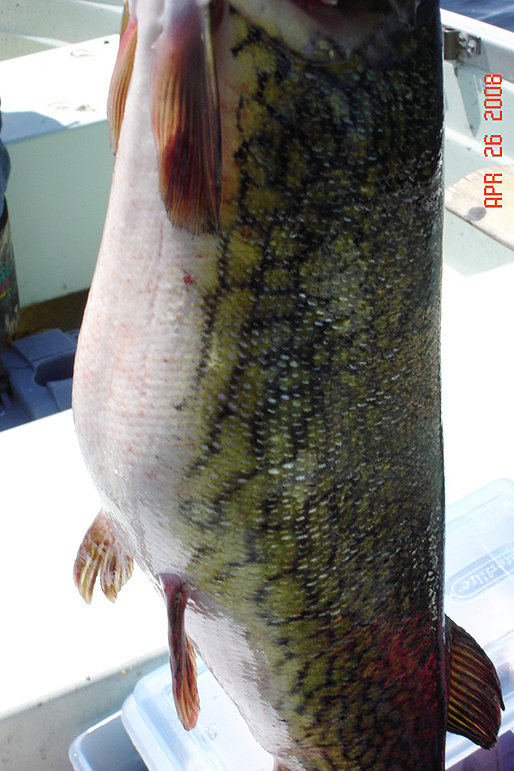 My previous largest some years back went around a estimated 5 or more pounds. 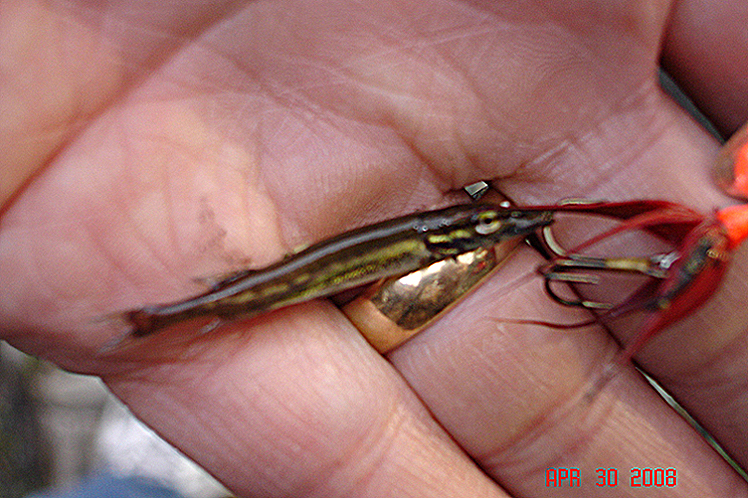 I released it and never had a chance to photograph it or officially weigh it (to broke back then to own a camera or scale). 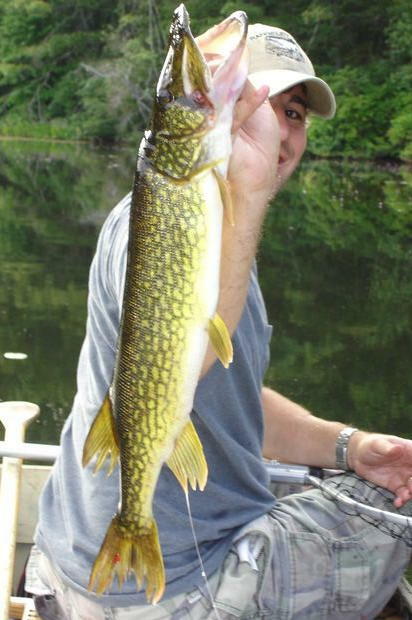 I had always bothered me a little that I never got to get a picture of it. 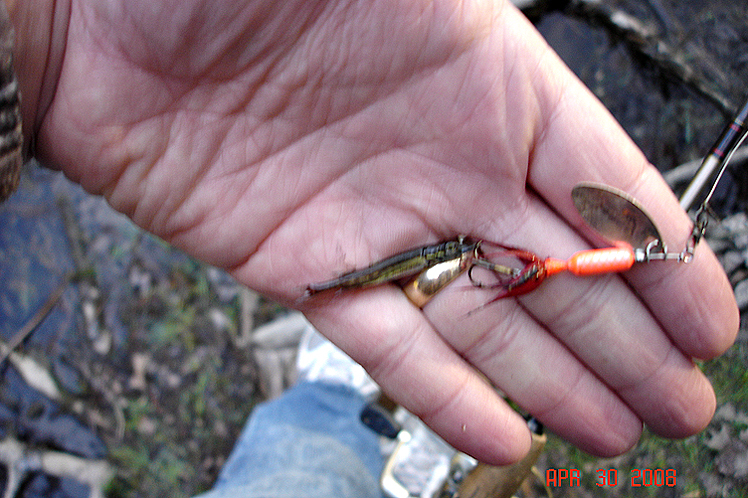 I remember it being much longer but not as thick as the one above. 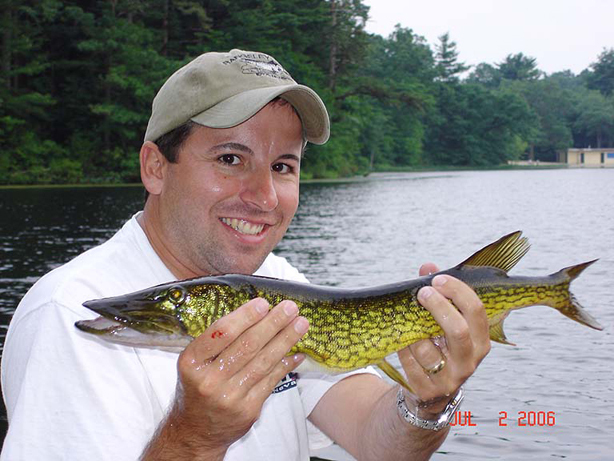 Now every time I fish, I carry a digital camera and a digital scale. 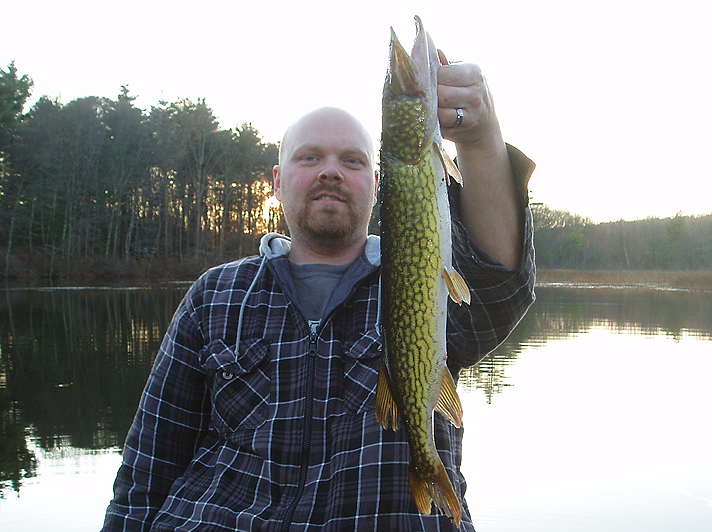 You just never know what you might catch. 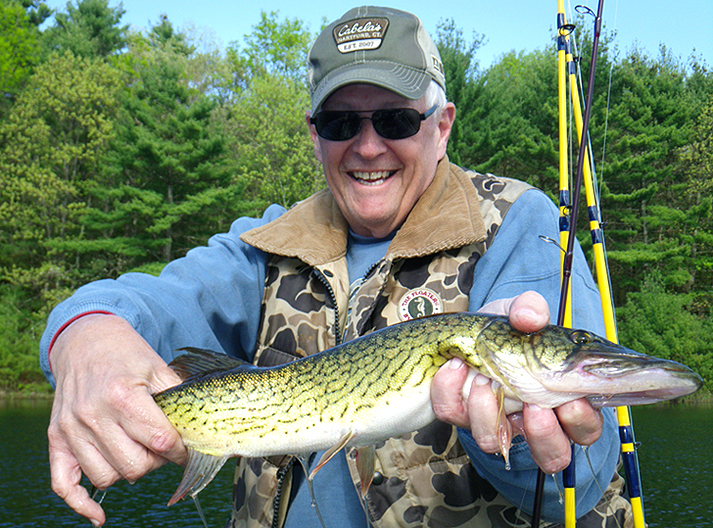 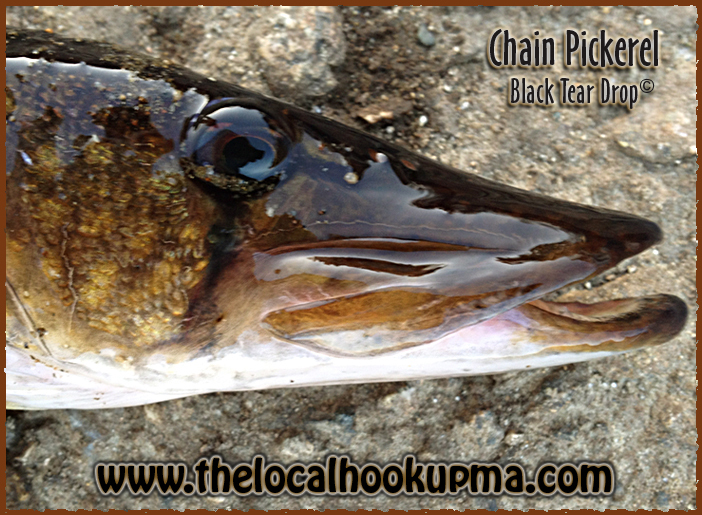 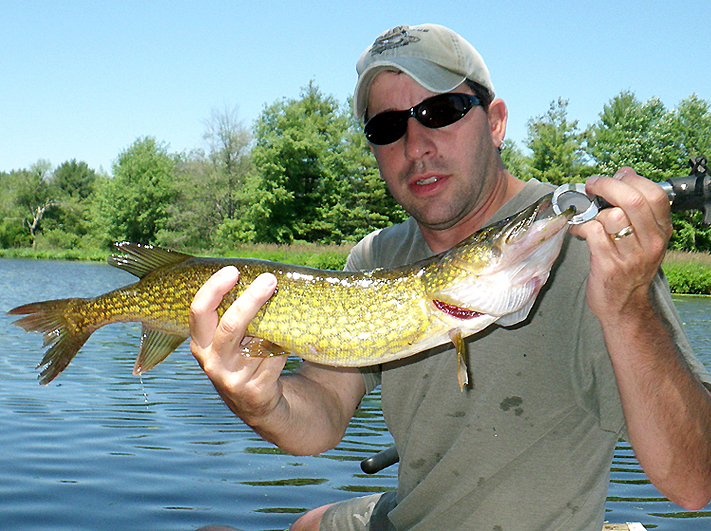 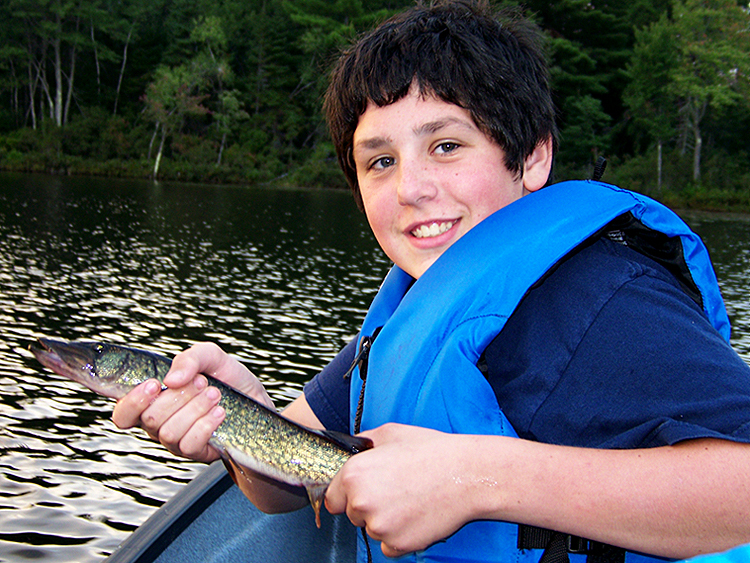 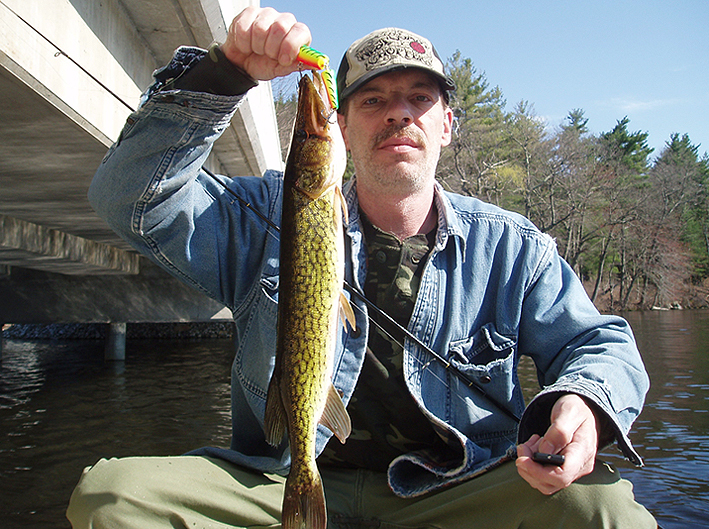 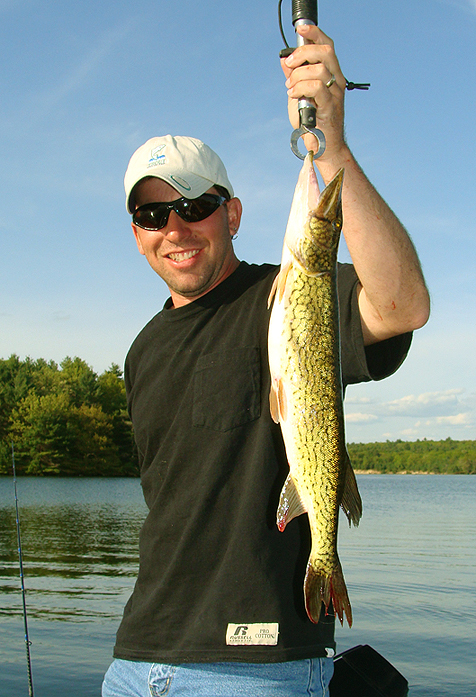 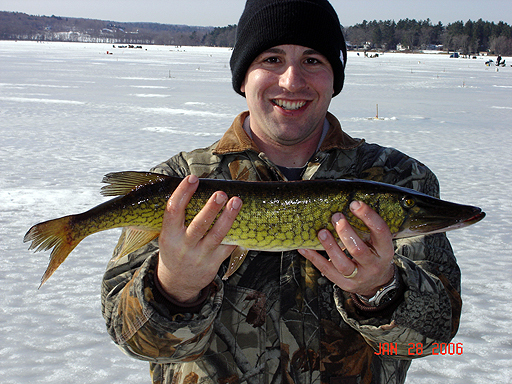 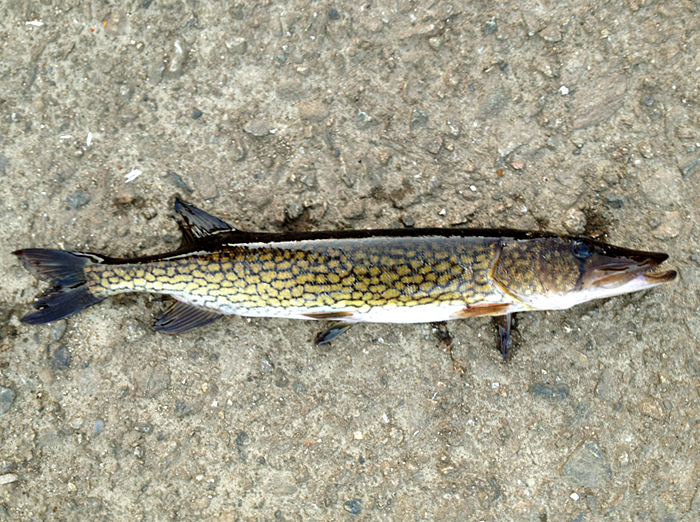 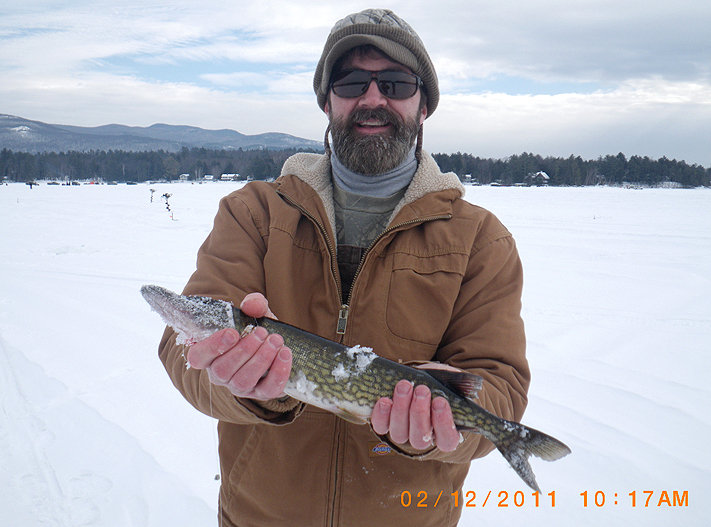 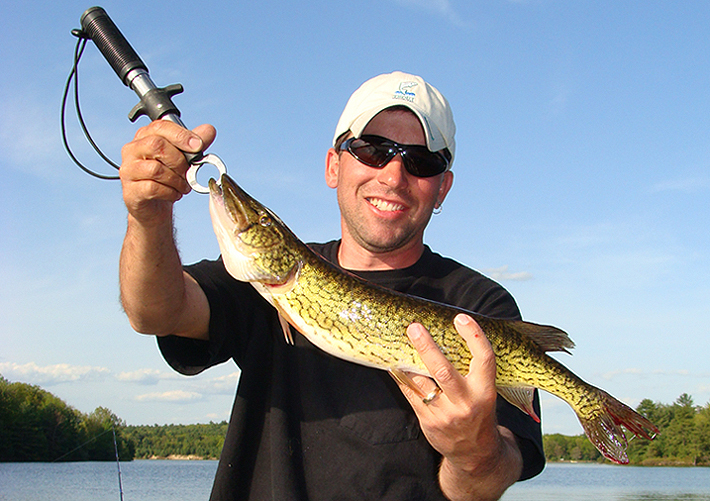 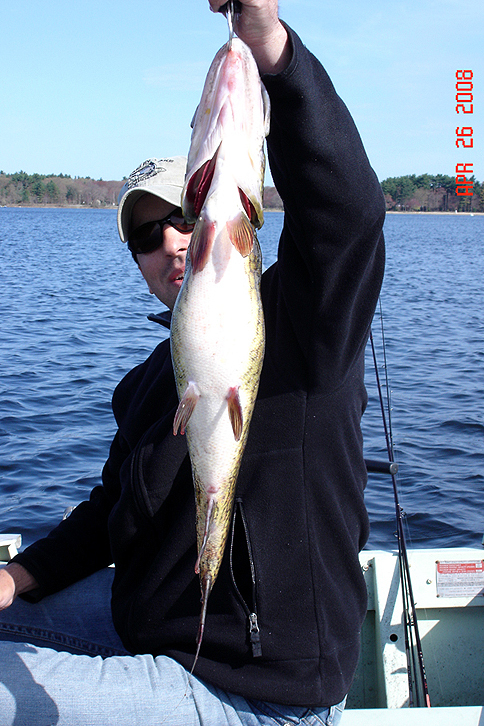 This pickerel took a rubber worm and was one of my better ones. 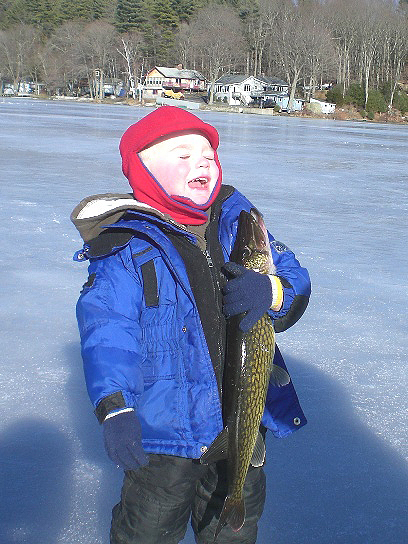 THIS IS TO CUTE, NOT TO POST (RONS KID).